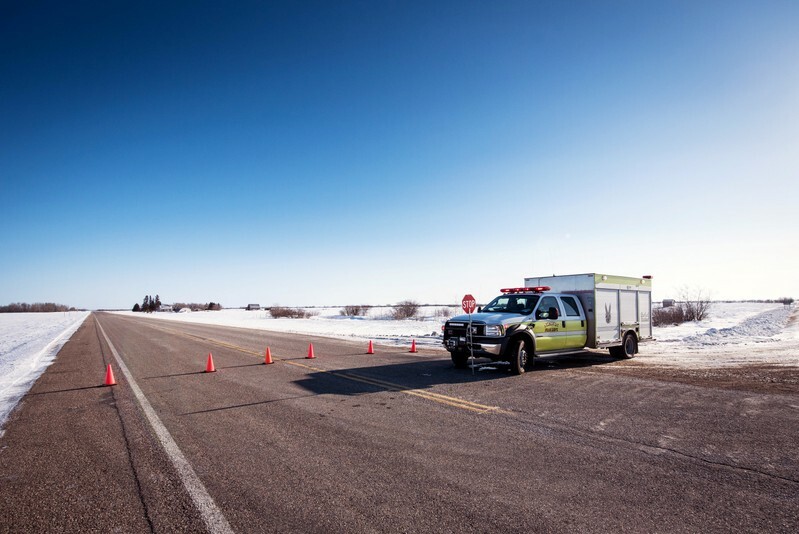 TISDALE, Saskatchewan (Reuters) – Fourteen people were killed when a bus carrying a Canadian junior hockey team collided with a truck in Saskatchewan province, police said on Saturday, sending shock waves across the hockey-loving nation. The Royal Canadian Mounted Police said in a statement that there were 28 people on the bus including the driver. Fourteen survivors were taken to various hospitals, with three in critical condition. The bus was transporting the Humboldt Broncos ice hockey team when the accident occurred at about 5:00 p.m. on Friday near the Tisdale area, around 185 miles (300 km) north of Regina, the Canadian Press reported. “Our thoughts and prayers are extended to the families of our staff and athletes as well as to all who have been impacted by this horrible tragedy,” Kevin Garinger, the team’s president, said in a statement. The team was headed to play in Game 5 of a playoff series against the Nipawin Hawks. Darren Opp, president of the Nipawin Hawks, was quoted by the Globe and Mail newspaper as saying the truck, a semi-trailer, had T-boned the players’ bus. The cause of the accident could not be immediately confirmed, however, and police said nothing about the identity of the dead or condition of the truck driver. Citing relatives, the Canadian Press reported that the Broncos’ head coach Darcy Haugan and the team’s 20-year-old captain, Logan Schatz, were among those killed. Many social media users posted Haugan’s photograph alongside messages of shock and sympathy, and the hashtags #prayersforhumboldt and #humboldtstrong. “God bless Darcy Haugan for being an incredible mentor and coach to young hockey players and prayers for his family to help cope with their immense loss,” the Western Provinces Hockey Association wrote on Twitter. 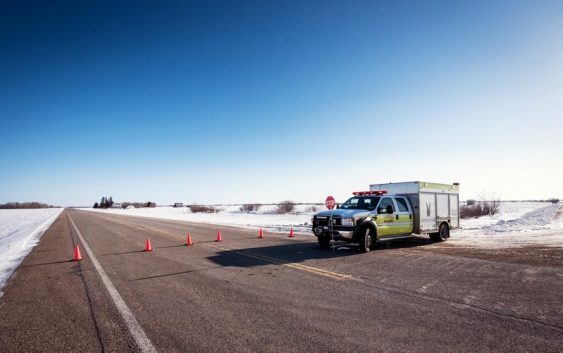 On Saturday morning, the police had blocked off nearly 2 miles (3 km) of the highway between Tisdale and Nipawin and a few emergency vehicles were seen entering and leaving the scene of the accident. Condolences poured in from current and former hockey players, sports organizations and political leaders across the country. “I cannot imagine what these parents are going through, and my heart goes out to everyone affected by this terrible tragedy, in the Humboldt community and beyond,” Prime Minister Justin Trudeau wrote in a tweet. Relatives of some of the victims also took to social media to express their sorrow. “The Broncos bus crashed on the way to Nipawin tonight Ryan is in hospital. There were fatalities and we are heartbroken. We will be flying out tomorrow,” Michelle Straschnitzki said on Facebook regarding her son. An online fundraising campaign for the affected players and their families was set up late on Friday by a parent of a former Broncos teammate with an initial target of $10,000. By lunchtime on Saturday it had raised more than $500,000. “Stay Hockey family strong,” wrote one donor on the GoFundMe site who said he was a coach from rural Saskatchewan. Established in 1970, The Humboldt Broncos play in the Saskatchewan Junior Hockey League. In grief-stricken Humboldt, home to fewer than 6,000 people, mourners gathered in the city’s arena late on Friday, local newspaper the Saskatoon StarPhoenix reported.